Intersegmental Traction is a therapy tool that allows for elongation of the anterior ligament of the spine, causing increased mobilization, and more flexibility to each spinal joint. This is achieved by the patient lying comfortably on a specialized table for 10-15 minutes. 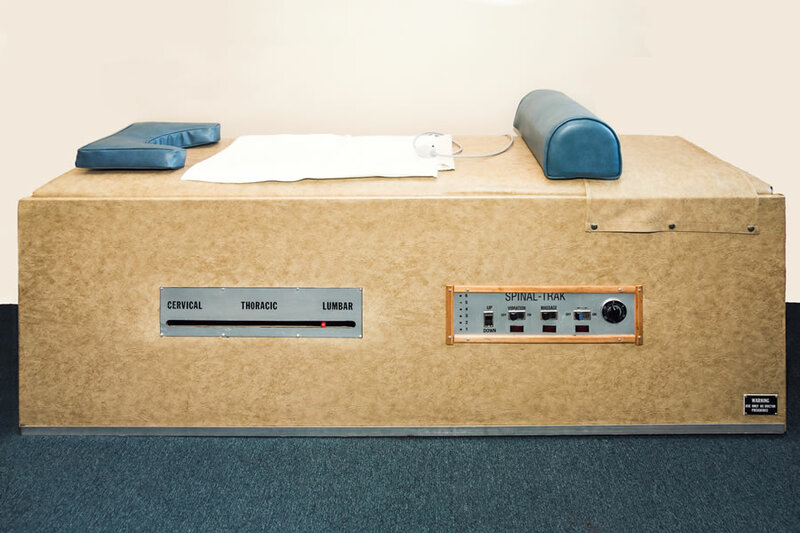 Also known as e-stim, this therapy is delivered through a small device that has wires attached to pads that are placed on the patient in the affected area. The device sends electronic pulses to your nerve fibers to create involuntary muscle contractions. All types of conditions respond well to this therapy whether it be an acute or chronic problem. Heat is administered using a dry heating system. The heating element is covered with a protective barrier to insure the safety of the patient. The primary effects of heat include increased blood flow/vasodilatation, increased cell metabolism, and muscular relaxation. 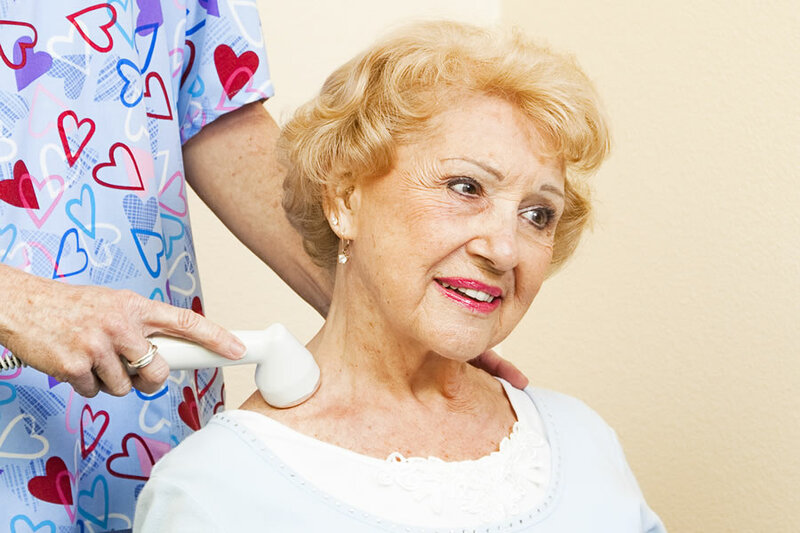 Indications for the use of heat include chronic pain and decreased range of motion. Cold packs are delivered by applying a silica base and an anti-freeze gel to the affected area. The goal of cold pack therapy is to decrease cell metabolism, slow nerve conduction velocity, and causing vasoconstriction. Cold packs are one of the oldest methods to help with acute and chronic injuries that have stood the test of time. 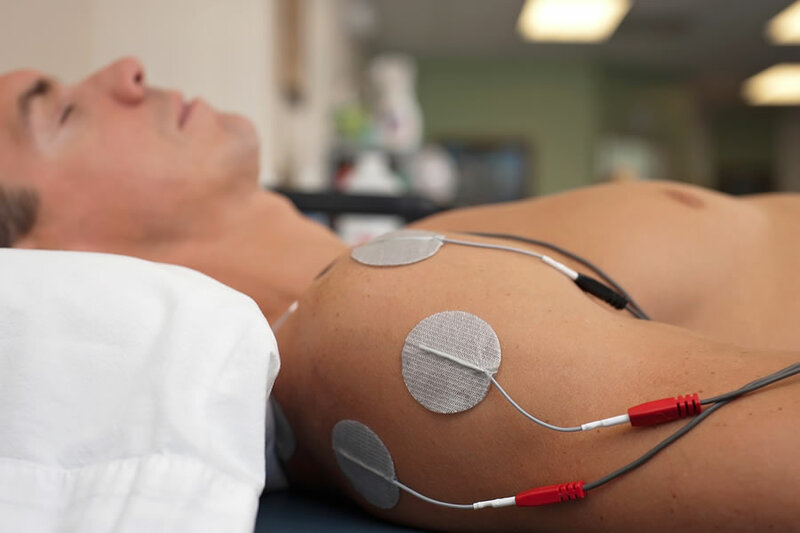 This therapy is similar to e-stim in that the therapy is applied using a small device with wires and pads that are placed on the patient’s affected areas. Indications for use include control of acute and chronic pain and management of post surgical pain. Kinesio Tex Tape is an elastic adhesive tape that is latex free, hypoallergenic and can be worn for days at a time. The tape helps facilitate lymphatic drainage by gently lifting the skin. 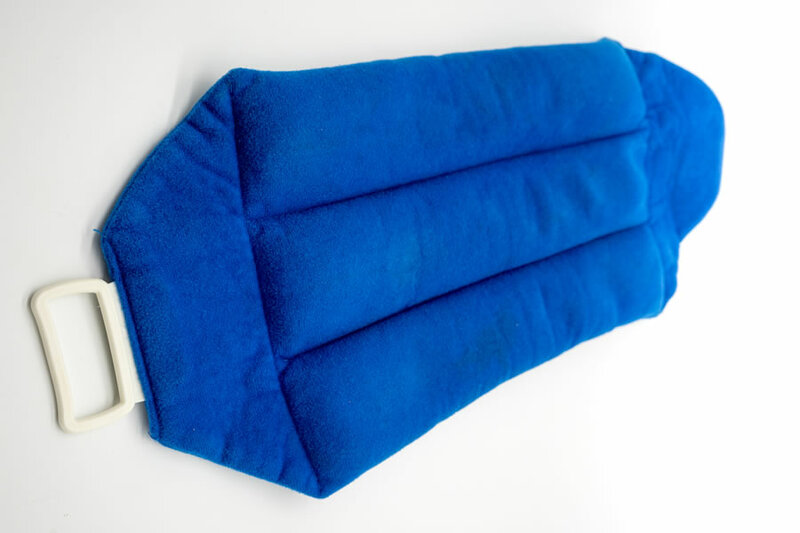 The gentle lifting allows for a decrease in inflammation, reducing pressure while enabling a more effective flow of blood and lymphatic fluid in and out of the affected area. 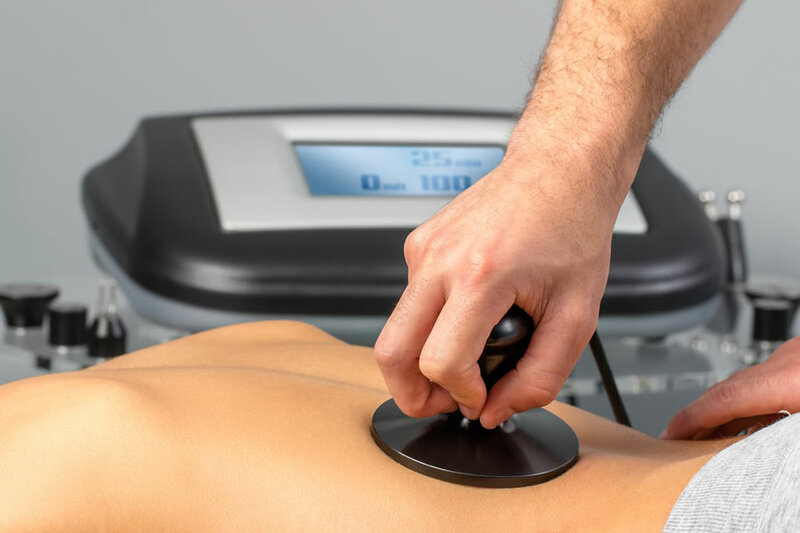 Ultrasound utilizes high-frequency sound waves applied to the affected area to produce thermal and nonthermal effects that are useful in decreasing pain, inflammatory conditions such as bursitis or tendinitis, muscle spasms, trigger points, and scar tissue. While all of these modalities serve to help you feel better and move better, they do not replace the long-term benefits of active treatments for your condition.